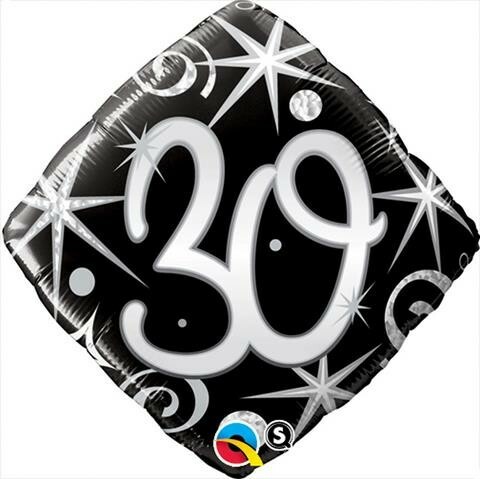 30 elegant sparkles & swirl foil balloon that measures approximately 18 inches. Diamond black shaped balloon with silver 30 in the centre with silver swirls and stars design. Can be air filled and suspended or helium filled. Unisex design.